Grammy Museum exhibit "California Dreamin': The Sounds of Laurel Canyon, 1965 - 1977"
A new exhibit on the Laurel Canyon music scene has opened at Grammy Museum in Los Angeles. More photos and details at Grammy Museum’s new exhibit explores Laurel Canyon’s music scene in the ’60s, ’70s. Last Friday, I was invited by my friend of 40 years, Joel Larson, who was one of the early drummers from the Grass Roots, to the GRAMMY Museum, down by Staples Center. He was one of 7 panelists (see the notes on the video) discussing the music industry and living up in Laurel Canyon in the 60's-70's. I was in the front row and was armed with a video camera. 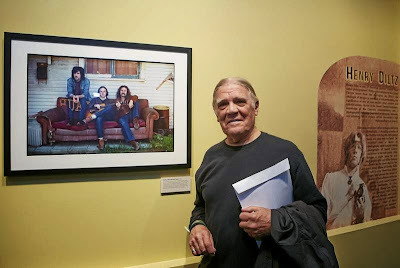 Harvey Kupernik, one of the panelists, is the author of a new book that just came out a couple of weeks ago, "Turn Up the Radio", and he has one of my photos of Leon Russell in it. The videos are well worth watching (if you're over 50). Wish I would have gotten some stills, but then I wouldn't have been able to shoot the video at the same time. Oh well...Enjoy it! Held at the GRAMMY Museum in Los Angeles on May 9, 2014, this was a panel of 7 members of the music industry that discussed "The remarkably rich sounds of Laurel Canyon and the sheer number of songwriters, bands, producers, artists, engineers and record company people who have lived and worked out of Laurel Canyon prove that Los Angeles is and continues to be a vital rock scene. We felt it was important to tell that story, right here in our hometown. 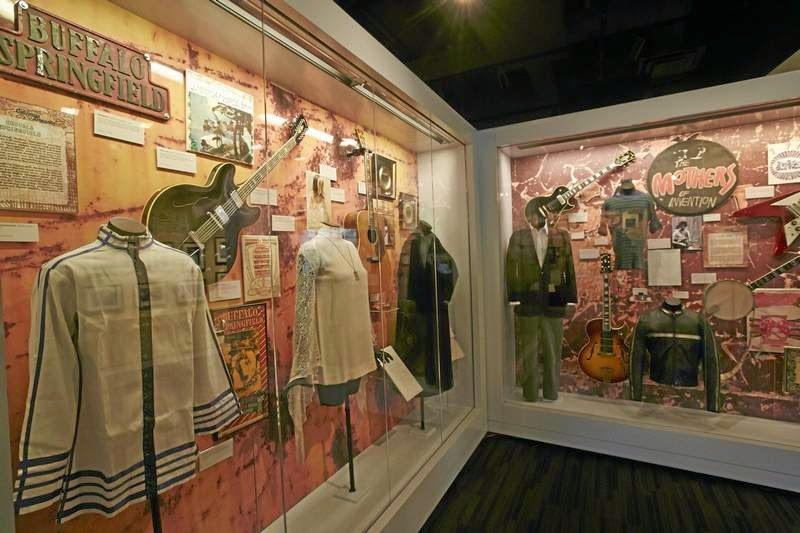 Laurel Canyon was as much a mindset as it was a music scene," said GRAMMY Museum executive director Bob Santelli. Thanks Jeff! Very cool. Thanks for sharing videos. Definitely looks like a great exhibit to check out next time in L.A. 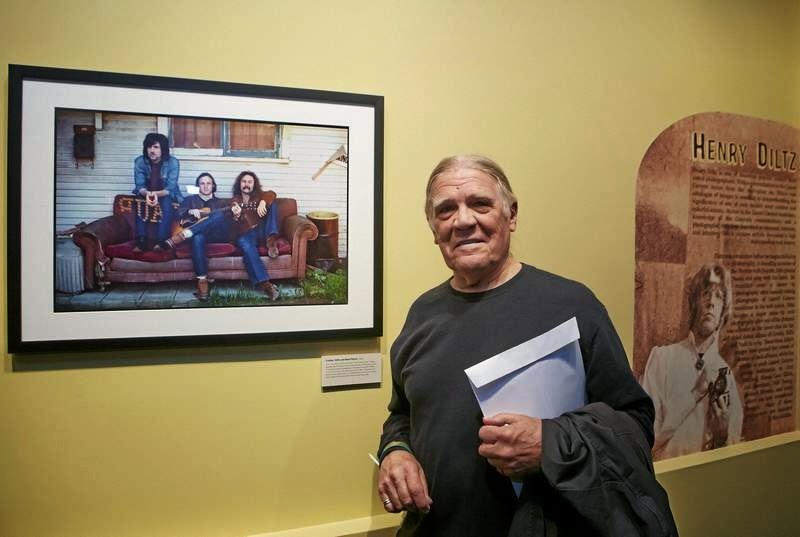 Photographer Henry Diltz, with his iconic photograph of Crosby, Stills and Nash 1969 debut album cover is featured prominently in the exhibit at the Grammy Museum exhibit "California Dreamin': The Sounds of Laurel Canyon, 1965 - 1977"
but I hate them worse than lepers and I'll kill them in their cars"
Has there aver been a more decadent statement in the lyrical scripts of Neil Young? I can't think of one. The satirical and sarcastic communication of Neil's songs continue to separate him from nearly all other songwriters of his or any generation.